Do you have terrible (or no) cell phone reception in your home? If so, a cell phone signal booster might be just the ticket! We live in the middle of a national forest, and cell phone service is spotty at best. We installed a signal booster, and with great success. Our new smartphone works flawlessly, and when our friends visit now, their cell phones display 4-5 bars, so they can receive calls and texts, too. Make and receive phone calls. Go on the Internet and surf around. Click on a You Tube video and watch it all the way through. Success with all three? Did the video play flawlessly? Great! Then you don't need a booster. Use your Wifi network instead. 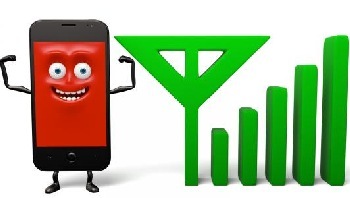 Let me explain: Newer generation smartphones allow calling, texting and data (Internet) off of your home Wi-Fi, in the absence of cell tower signals. So if you have fast and reliable Wi-fi coverage, it may stand in just fine in cases of bad cell tower coverage. You're all set! Disadvantage: If friends with older cell phones come to visit, they probably won't be able to access it. 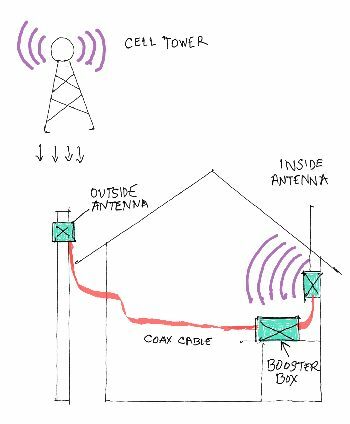 Cell Phone Extenders (also called range extenders) work by tapping into existing (but faint) outside cell signals, amplifying them and transmitting a stronger signal to your cellular phone. These boosters can work even in areas where the signal is so weak your cell phone cannot pick it up (zero bars on your phone). However, they will NOT work in areas where there is no signal whatsoever (dead zones). So you must make sure before you buy a Cell Phone Extender that there are at least some cell tower signals at your location. Universal; work with all carriers, services and cellular devices. Not sold by the network carrier; they are sold by 3rd party sellers. Most can work with no Internet connection in the home. Must have at least some weak cellular signals outside in order to work. External antenna is required on most models. Network Extenders, on the other hand, can work in areas where there is no cellular signal at all. However, they do require reliable broadband/high-speed Internet service to work [like a "cable connection", DSL or FiOS (Fiber Optic Service)]. Satellite Internet will not work. Network Extenders work by creating a new cell signal and routing it through your broadband internet connection, which then sends it wirelessly to your cell phone. These "boosters" do not utilize the cellular tower network at all. Carrier specific (such as Verizon only). Usually sold by the individual specific carrier. Require a high-speed Internet connection. No cellular signal is required. Must have GPS "lock-on" to work. Also called microcells or femtocells. *There are other boosters available for cars and RVs, but we will not get into those. 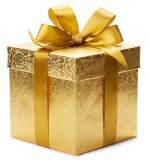 Boosters are sometimes identified by the type of network they support, such as 2G, 3G and/or 4G networks. Boosters of a specific type will generally support earlier generation signals. 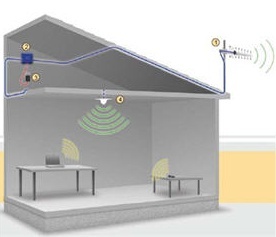 In other words, a 4G signal booster will support 2G and 3G as well. On the other hand, ours is a 3G extender; but 4G phones seem to work just fine on it. Find (near your house) where the outside cellular signal is strongest. You can do this by checking the bars on your cell phone as you walk around the outside of your home. When you find that "sweet spot", this is where you want to install the outside antenna, and point it towards the strongest cell signal. Usually, this spot is high up; mounted on a pole close to the house is ideal. The two inside components are a booster box and inside antenna. They should be set up where the improved cell signal is most needed. 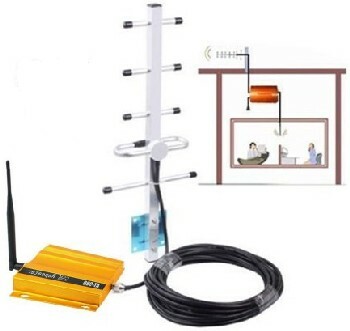 Coaxial cable is run from the exterior antenna to the booster box inside; which is then connected to the inside antenna. Installation specifics should be explained in the Instruction Manual that comes with your unit. Hard wire your extender to your computer router with Ethernet (Cat 5) cable. 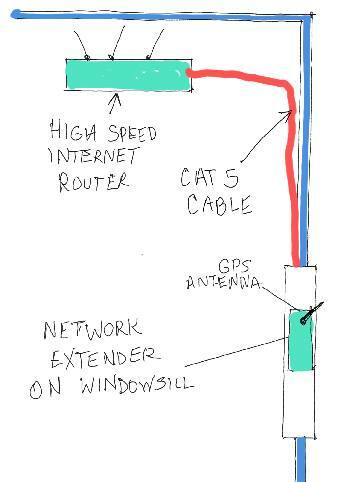 Place the Extender Unit in a window so the GPS function (small antenna) can locate satellites. Plug it in and let it stew. If you don't have high-speed Internet, or cannot obtain GPS "lock-on", you will not be able to use a Network Extender. Did you know that you could use more than one Network Extender (NE) off one router? Like if you also have an outbuilding, barn or recreation center with poor or no cell coverage. The extenders are widely separated so their signals do not overlap. Each must be hard-wired to the main router with Cat 5 cable. This would likely mean burying a cable from the house to the outbuilding. Each extender must be capable of its own GPS satellite lock-on. This sounds like a lot of trouble, not to mention the added cost for another extender. But once it's set up, you are good to go and can use your mobile phones in your barn or cook shack! Caveat: With this arrangement, you cannot be on a phone call and move from one NE "sphere" to the other. One does not "take over" for the other; you will just end up with a dropped call. 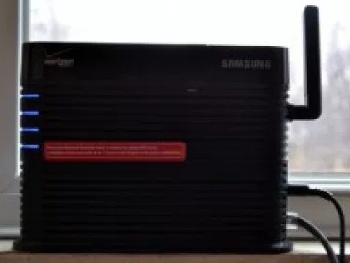 The signal booster we have in our home is the Verizon Wireless Network Extender, Model SCS-2U01, (the black box pictured above, which relies on our high-speed Internet to function. This one is indicated for 3G service, but it seems to work just as well with 4G phones. Although the SCS-2U01 is still available, we have instead displayed the newest (4G) version below, at the same price. Note: Before purchasing any cell signal booster or extender, contact your carrier to make sure it will work for your phone and network. The device is certified by the FCC (IC in Canada). You register your booster with your cell service provider. (Contact your carrier to find out how). This is important because some devices must be activated by the carrier before they will work! Works only with Verizon phones and accounts. Not compatible with satellite internet. Must have an official AT&T account. Broadband internet connection via Ethernet required. Satellite internet will not work. Works with all US & Canadian carriers. Money back guarantee if doesn't work in your location. 50 Amazing things you can do with your Smartphone. Gamer at heart? These are the best Cell Phones for Gaming.